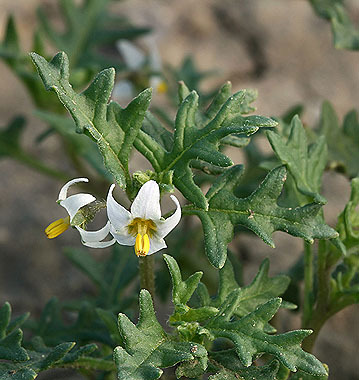 Cutleaf Nightshade has white flowers with yellow anthers. Leaves are deeply lobed and shaped like oak leaves. 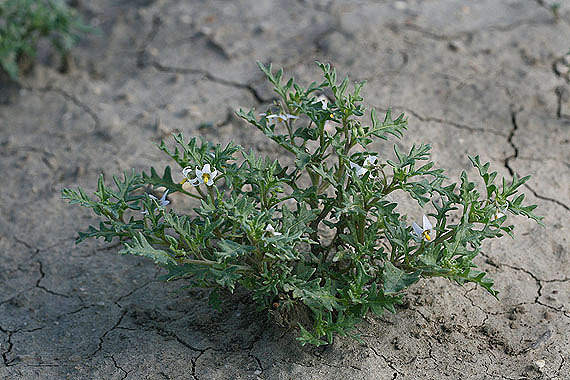 It is an introduced weed that grows on dry or moist sites.